Matt Rohdie has been a local caterer for the last couple of years. We start with organic flour, organic eggs, organic apple cider, and organic spices. Add pure organic sugar and non-aluminated baking powder and now you know all the ingredients. We cook all our donuts in 100% pure soybean oil. No hydrogenation, no trans-fats, no shortening. 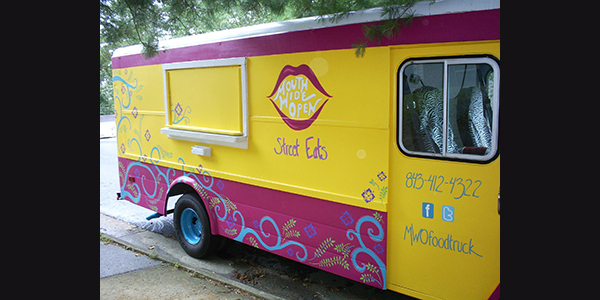 Burgers, American Traditional – We bring you fresh eats on the streets or to the front door of your party. Our food reflects our roots and travels. We have tasted America with our mouths wide open. So the Mouth Wide Open menu is a collaboration across place and taste. In our specialty sliders and sides you can taste the places we’ve lived: from the New England taste of a fresh crisp apple and extra-sharp cheddar cheese slider to the California savory n spicy jalapeno beef and cheese slider; from the downhome Mississippi catfish and BBQ pulled pork sliders to the seashore succulent South Carolina crab cake slider. 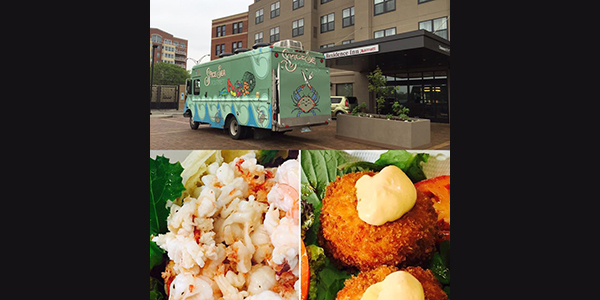 The SpiceSea Gourmet food truck, with Chef Owner Whitney Matthews, serves gourmet seafood throughout the Charlottesville and Central Virginia area. A mix of family recipes and culinary invention, The SpiceSea Gourmet menu includes local favorites like Virginia-style Crab Cakes, Lobster Mac and Cheese, Lobster and Shrimp Rolls; Seafood Paella, Lobster Grilled Cheese, and seasonal menu items.